Interstate driving can be overwhelming at first and is an integral part of our highway transportation system. Generally, these high-speed roadways, when compared to other roadways, have a lower frequency of collisions; however, when a collision does occur, it is often more severe because of the combination of speed and impact. Because of higher speeds, multiple lanes, entry and exit ramps, and the sometimes unpredictable movements of vehicles around interchanges, even experienced drivers can experience heart palpitations (okay, maybe just a slight case of nervousness). Here’s what you need to know about interstate driving and what you can do to stay safe on high-speed roadways. Stay alert. Always be mindful of the position of your vehicle and the other vehicles around you while interstate driving. Scan ahead to avoid obstructions or hazards. Be aware of fatigue. 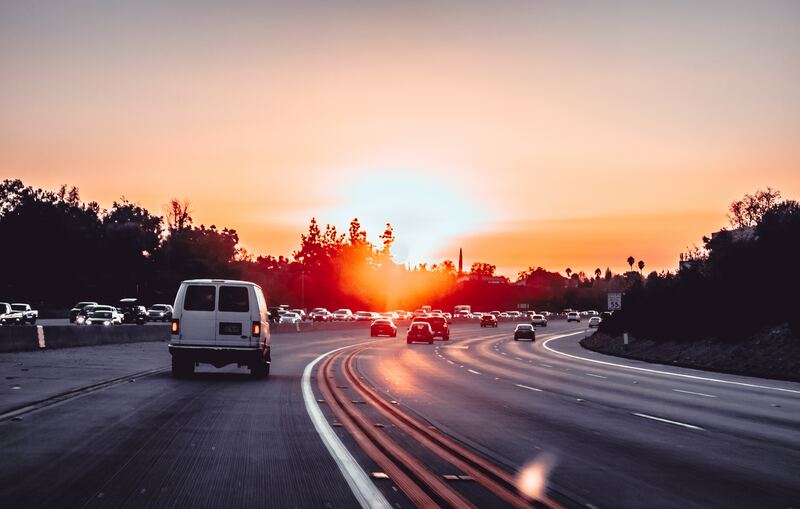 On longer interstate trips and prolonged interstate driving, be aware of the onset of fatigue, drowsiness or just plain boredom — often referred to as “highway hypnosis”. To combat this, try to take a “safety stop” at least once every two hours or after 100 miles or simply change drivers if available. Look out for pinch points. Pinch points occur when two vehicles try to merge into the same lane at the same time. Try to avoid this by anticipating other vehicles intentions and using proper communication while on the interstate (turn signals etc.). School Zones: 20 mph (on school days between 7 a.m. and 4 p.m. or anytime when children are present and signs are posted)If you need to stop your vehicle while driving on an interstate, turn your right turn signal on, reduce your speed, and pull off to the shoulder. After stopped, turn on your hazard lights to alert other drivers of your position. Know which lane to be in. Each lane on a 3+ lane interstate or highway has its own specific purpose. The lane farthest to the left is the passing lane and is meant to be used for passing slower moving traffic. The middle lane is the driving lane where you should be if you are traveling for a long distance and you do not intend to exit soon. The lane farthest to the right is the enter/exit lane intended for use by vehicles that are entering or exiting the highway only. If you are in this lane while traffic is merging, you should do your best to make sure that merging traffic has an opportunity to merge safely. Are you interested in improving your current interstate driving practices? Register for any of our adult behind-the-wheel training packages. View pricing and schedule availability for our adult driver education program or contact Top Driver for questions and more information on interstate driving. This entry was posted in Top Driver Blog and tagged Driver Education, Driving Practice, Highway Driving, interstate driving.